Mobile is the innovation which has changed the world but due to increased usage the battery tends to get discharged very fast. 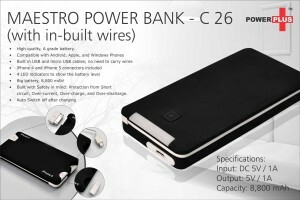 The Power Banks has been designed keeping so that you can charge your smart phones, tablets while on the move. Moreover you even have a choice of charging multiple devices and simultaneously reminding your clients about your logo brand. You have a choice of Power Bank Chargers from 2000 mAh to 15000 mAh at various price points to go ahead with your planned promotion to increase your brand recalls. Built in torch for emergency use, just press the power button twice to switch on or off. Huge 15000 mAh capacity! Can charge iPhones and other smart phones 4-6 times! Auto switch off after charging is completed. High safety design; discharge, overcharge, overload, short circuit. High quality A grade battery. Compatible with Android, Apple and Window phones. Built in USB and micro USB cables, no need to carry wires. iPhone 4 and iPhone 5 connectors included. 4 LED indicators to show battery level. Built with safety in mind: Protection from short circuit, over current, over charge and overdischarge. Auto switch off after charging. 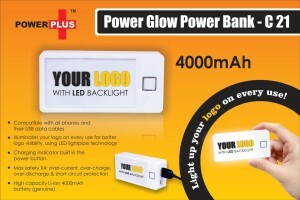 Your logo with LED backlight. Light up your logo on every use. Compatible with all phones and their USB data cables. Charging indicator built in the power button. Max safety X4: over current, over charge, over discharge and short circuit protection. High capacity Li-ion 4000 mAh battery (genuine). Ultra portable power bank clips to keep in pocket like a pen. 3 level charging indicator to show battery charge status. High quality Li-ion battery, safe and reliable. 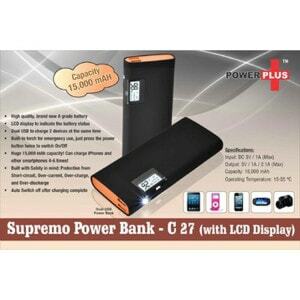 High capacity 2000 mAh battery (genuine). Available in 4 colors green, blue red and black. Built in mobile stand which comes out when needed. What is the use of Power Bank? 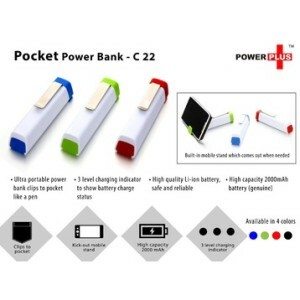 Power banks can recharge your mobile phone instantly depending on the capacity of your smart phone and even power bank. High capacity power banks comes with dual USB port so that you can recharge two devices at the same time. Use of the power bank charger. The ease and use of smart phone is much more with ready Power Banks and no need of carrying the extra set of batteries with you. 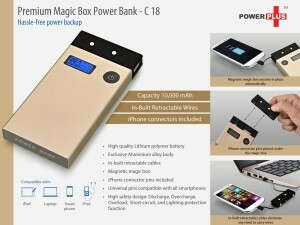 Depending on your target audience usage and need you can decide on distributing a high capacity power bank so that if required they can recharge the phones multiple times. Or you can select a ultra slim or pocket power bank which is not only cost effective but a high utility and regular use gift. Capacity from 2000 mAh to 15000 mAh. You can have them with dual port for charging two devices. The MRP of the product ranges between Rs.300 onwards but on bulk buying it will be offered at an attractive price depending on the exact product, branding, customized packaging and quantities. Minimum order of 20 will be appreciated and in special cases smaller lot can be entertained by us. 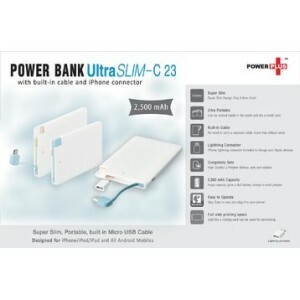 How you will benefit, if you buy Power Banks from Sparket Corporate Gifts…? The way you give brief to your advertising agency in the similar manner you can email us your objectives. Kindly add the quantities and budget amount so that we can give you various options to choose from. More clarity will help us suggest you short listed items from Everything From A Pin To A Plane! For increasing sales:- We help over 200 Corporate all over India to select items to increase their sales through consumers, customers, channel partners and associates. For exciting team members:- From induction kits for a new member of the team to birthdays, to completion of years of services, to festival times, new year, special events, product launches, successful completion of projects to reward and recognitions. For associates:- Completion of years, festival time, new year and celebration time!